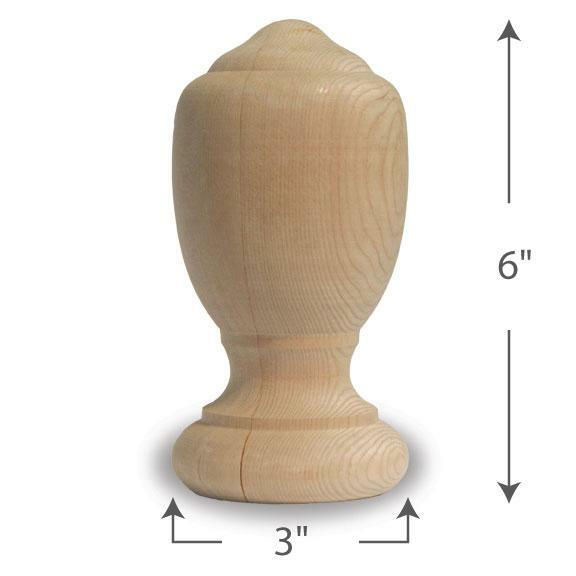 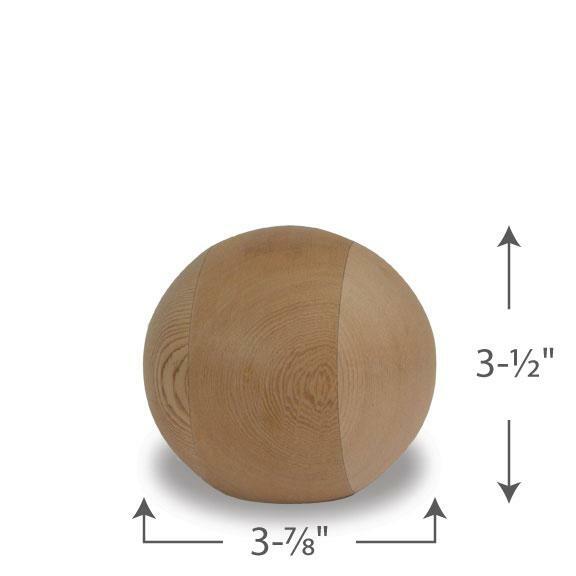 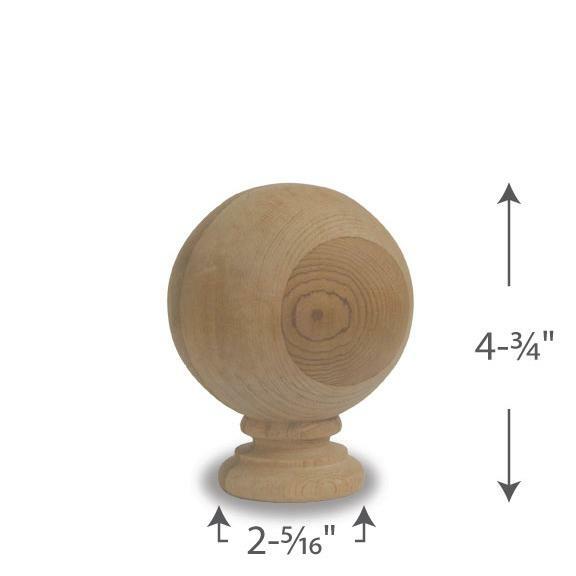 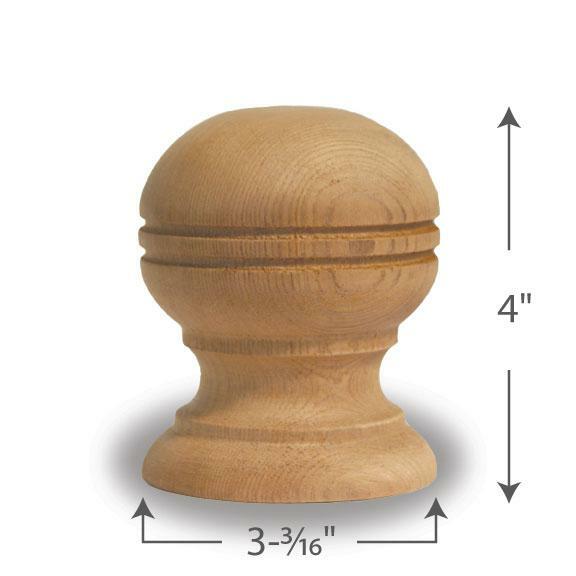 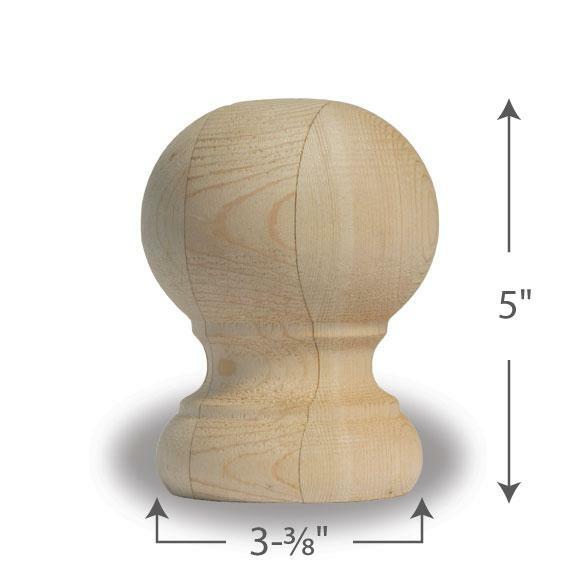 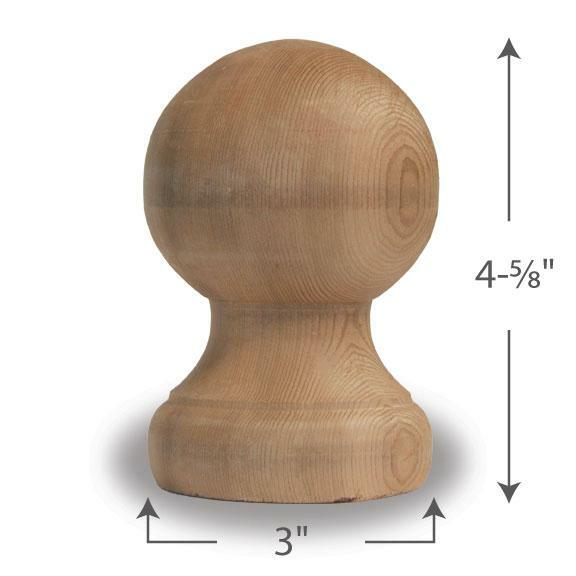 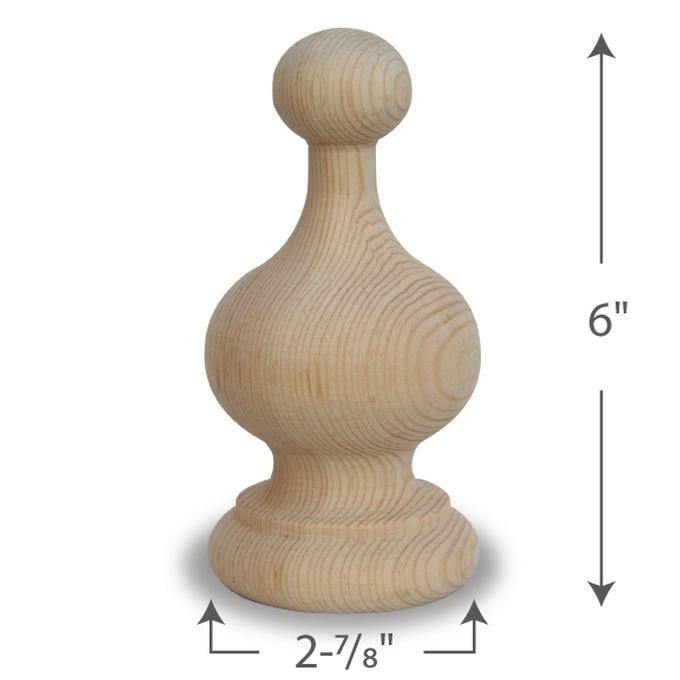 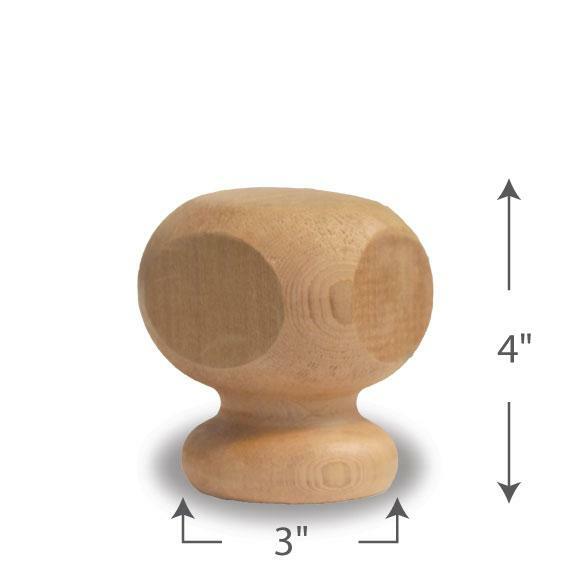 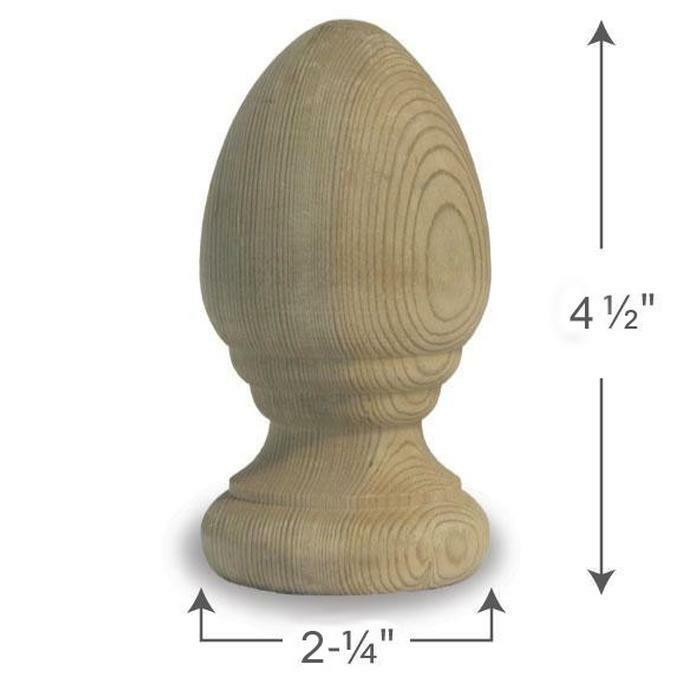 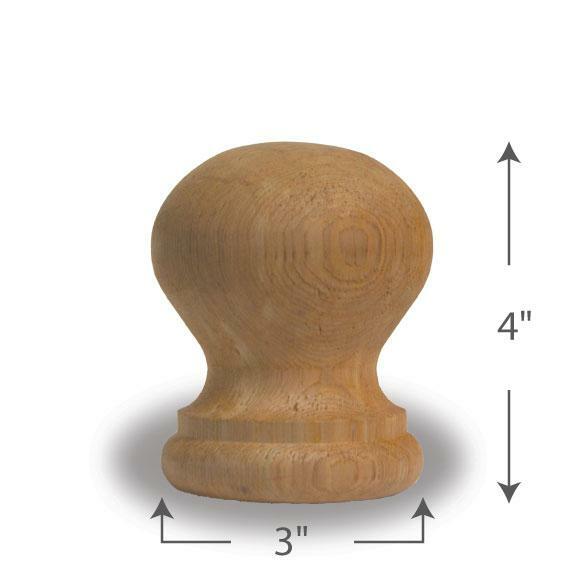 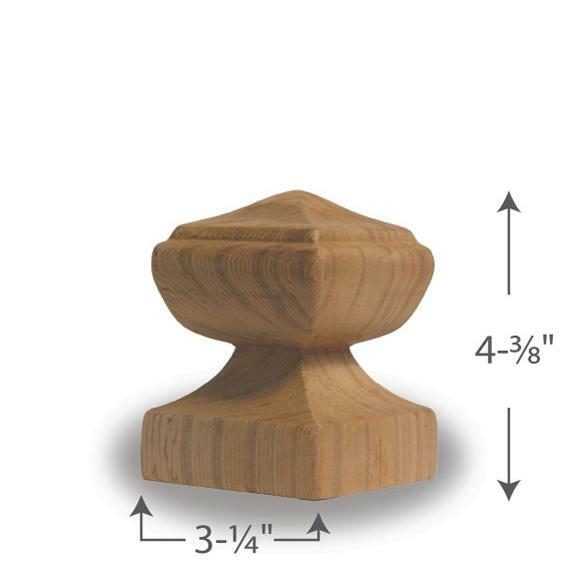 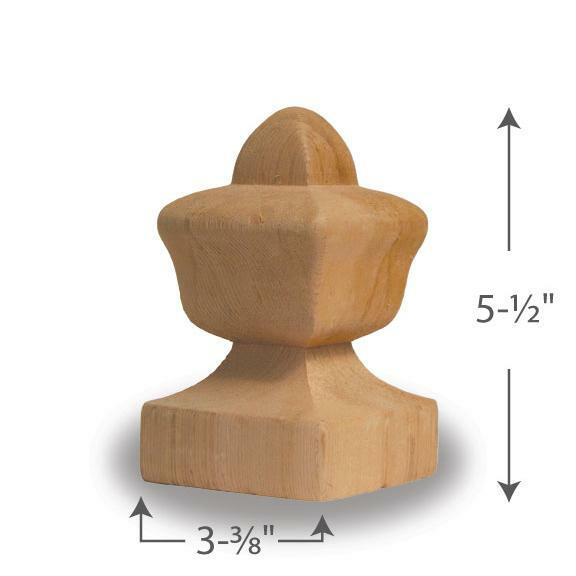 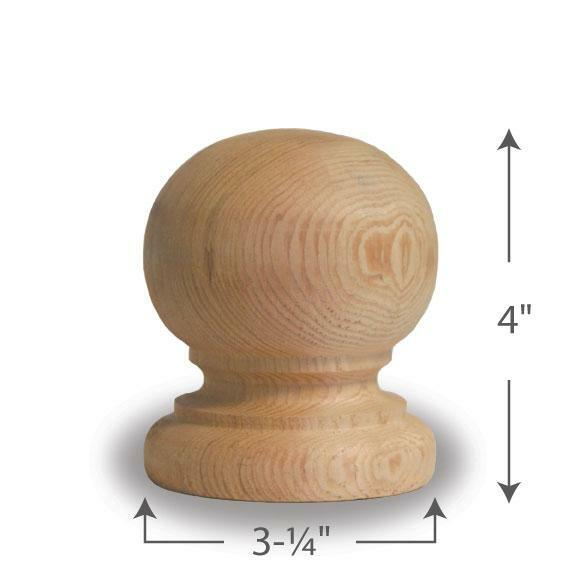 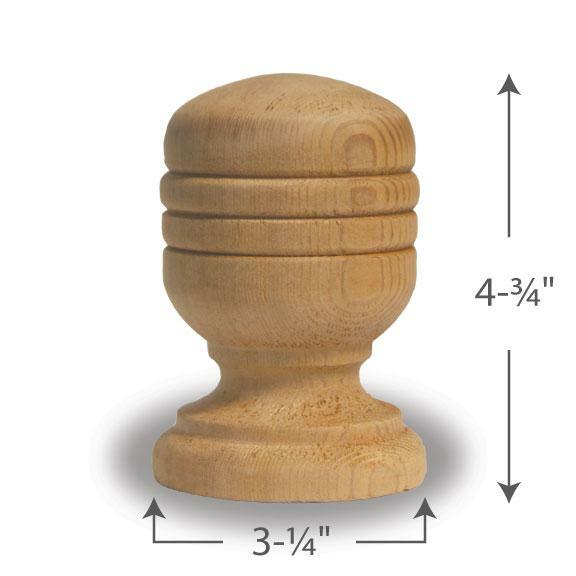 Cedar Finials to top all your fence posts and deck posts. 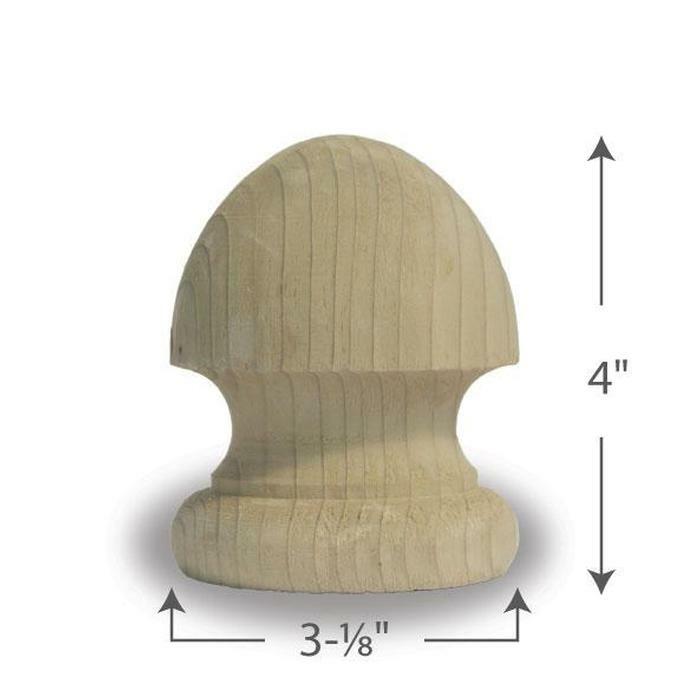 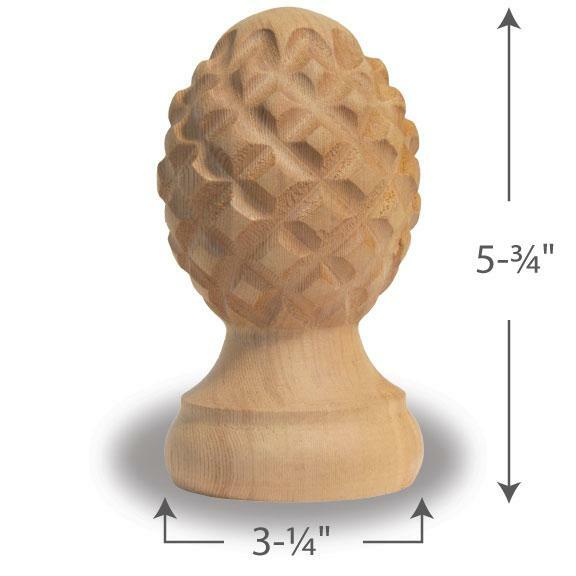 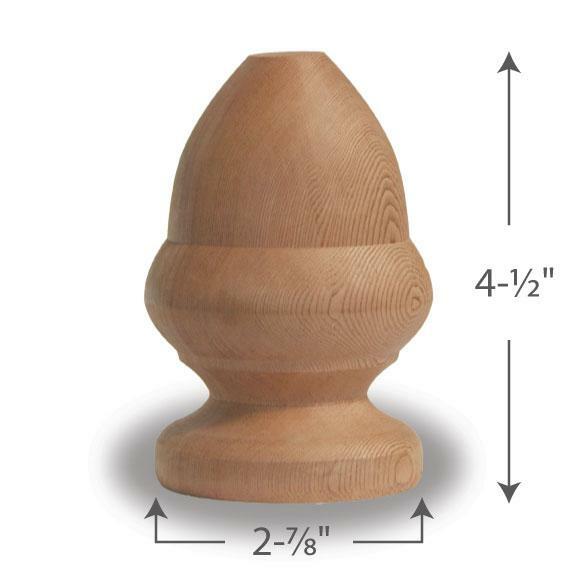 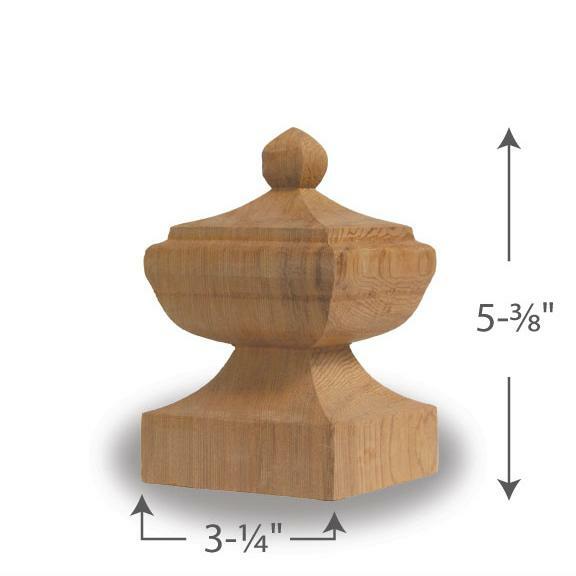 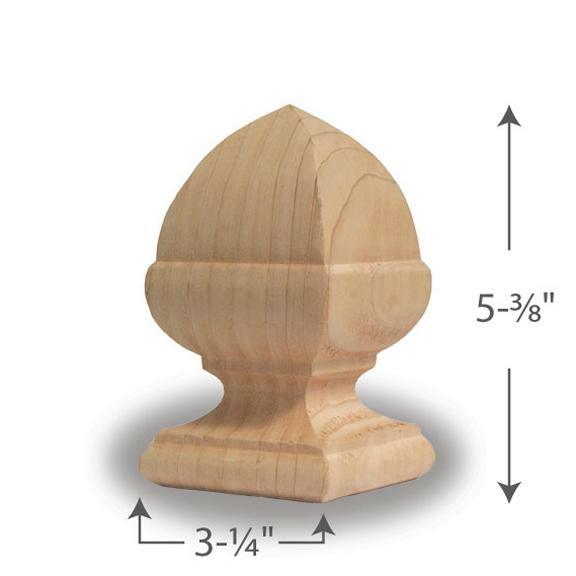 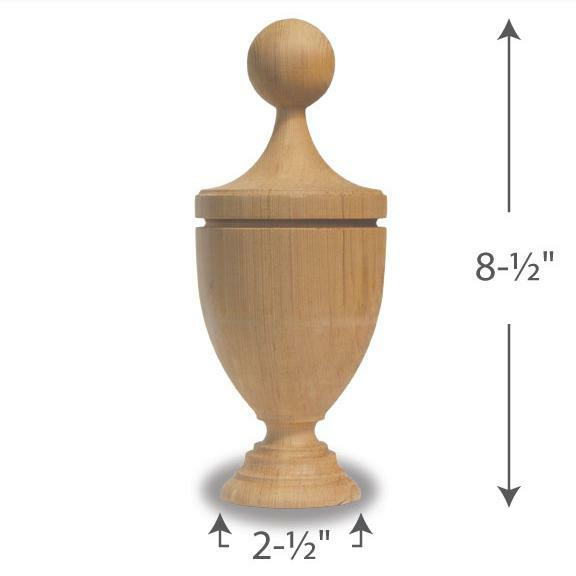 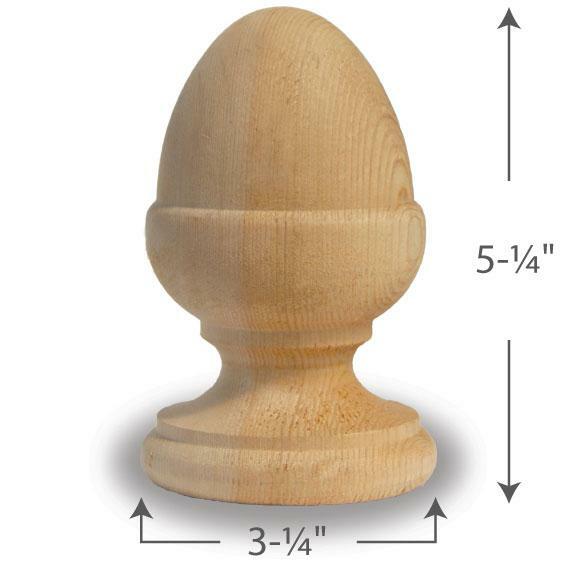 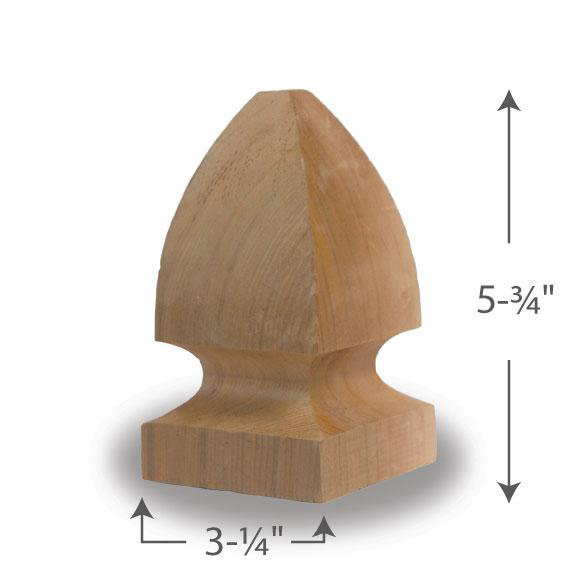 Finials may be +/- 1/8" of measurements pictured. 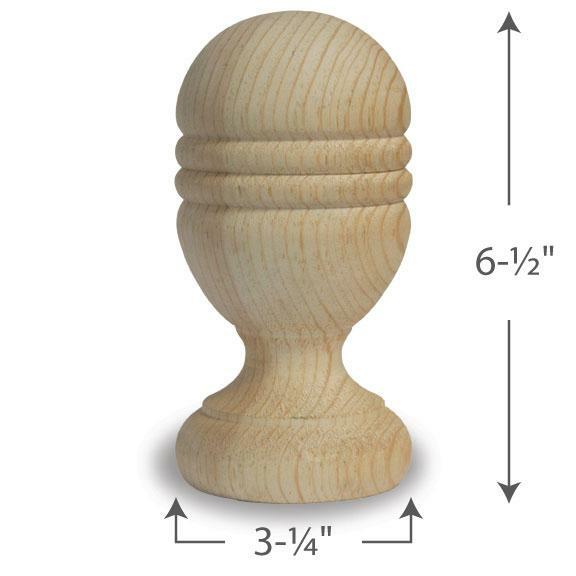 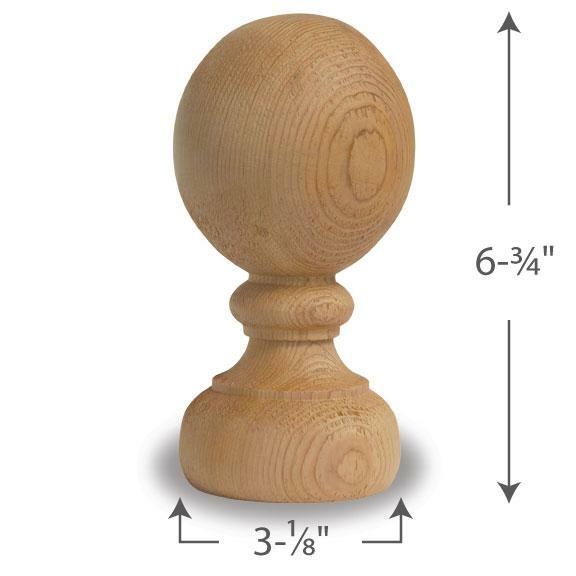 Acorn Finial with Rings — 4"
Boise Ball Finial — 4"
Colonial Ball Finial — 4"
French Acorn Finial — 4"
French Gothic Finial — 4"
Pineapple Finial with Rings — 4"
Prince Edward Finial — 4"
Queen Anne Finial — 4"
Queen Elizabeth Finial — 4"
Round Ball Finial — 4"
Round Gothic Finial — 4"
William & Mary Finial — 4"
Winnipeg Acorn Finial — 4"